CENTURY 21 United established in 1972, became affiliated with CENTURY 21 Real Estate LLC in 1977. 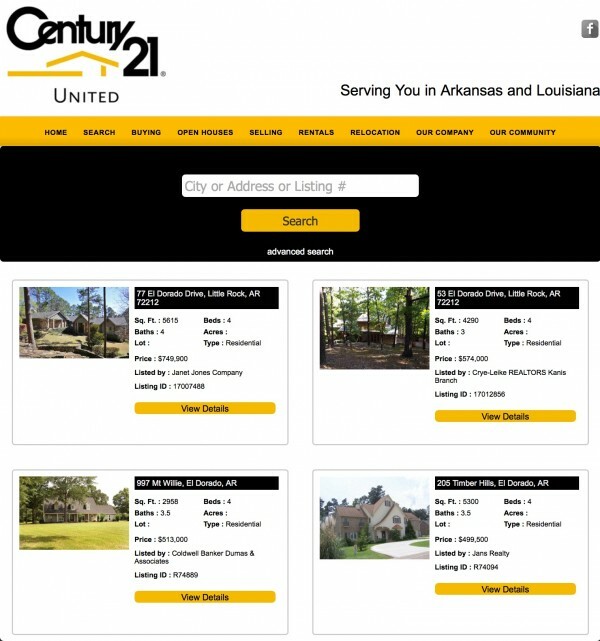 With over 33 years of professional leadership in the Real Estate business, CENTURY 21 United provides the Shreveport - Bossier City, Louisiana, markets with the expertise and technological advances that make home shopping and selling a positive and comfortable experience. Astonished Man keeps knocking it out of the park! Keith's professionalism and design abilities has proven to be "Above and Beyond" my expectations time and time again. If you can dream it up and explain it to him, he can build it!